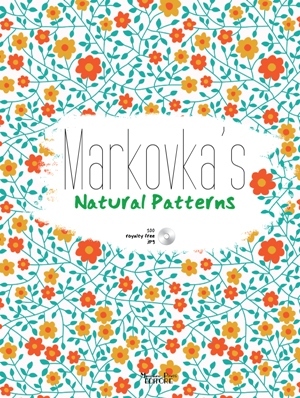 Markovka, an illustrator of the international level from Russia, presents her magic patterns in this book. Markovka likes to create patterns and ornaments because she can use her phantasy and draw non - existent subjects and forms without limiting herself to any certain plot. Markovka lives in a very green city of Krasnodar. All the year round there is a lot of green grass and flowers there. Her mother loves home plants very much that is why her house is always full of fresh flowers which give Markovka her inspiration. In this book you will find 100 patterns of flowers, plants and birds with CD 100 patterns inside. This book will give you a lot of fresh ideas and inspiration.